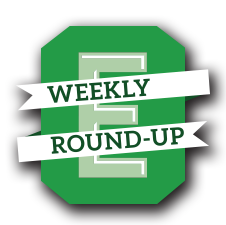 Editorial note: due to concerns from UWPD, portions of this article originally posted on 2/1/17 have been updated. After briefly removing the article to ensure accuracy, minor corrections were made pertaining to how the RCW and WAC work in this case. In addition, the original posting quoted UWPD as saying “the Student Conduct Code office has been notified”; this statement has been removed. Some additional reporting has been added. Though investigations are still ongoing, it has been verified that the male suspected shooter from the Jan. 20 Milo Yiannopoulos event and protests is an undergraduate senior at the University of Washington (UW), age 29. This is the same suspect who turned himself in the night of the shooting and was released within a few hours. The suspect’s name was gathered thanks to an article by The Seattle Times, leaving an internet trail for how one could figure it out on their own. 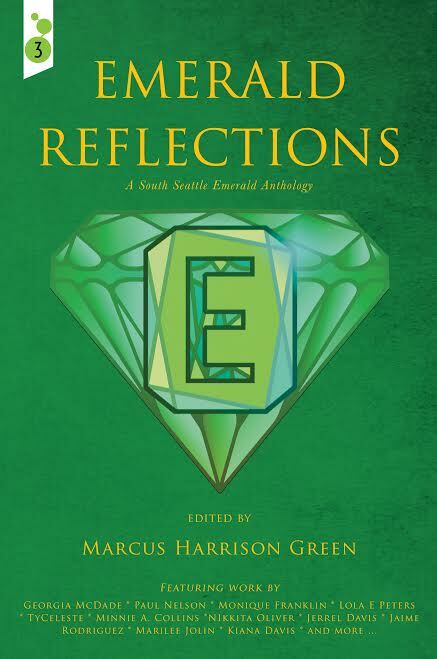 The name of the suspect — which the South Seattle Emerald is not releasing because charges have not been filed — can be found in the UW Directory. The Emerald reached out to the suspected shooter on Feb. 1 for comment but he did not answer his phone. This piece will be updated should he return our request for a statement. The victim, in contrast, is not a UW student, per his lawyer’s verification, and was a protestor designated as a de-escalator. While UWPD attributed the ultimate decision of releasing the suspects to the prosecuting attorney’s office, there seems to be a disconnect. Since the suspected shooter has been verified as a UW student, that means the suspect could face both criminal and administrative violations. Bringing a firearm on campus violates the Student Conduct Code (SCC). As such, the Community Standards & Student Conduct (CSSC) office are the ones to handle administrative investigations. These occur completely separate from police inquiries, though evidence collected from a criminal incident (if it involves the same matter as what’s being investigated) can be brought in. The outcome for administrative investigations ranges from warnings and suspension to expulsion. But why does the administrative process need to wait for an investigation to be done with UWPD, an otherwise completely separate entity from its own investigation? Arkans became a bit flustered at the question. Meanwhile, the victim of the shooting has made it clear he doesn’t want to press charges. As stated through his attorney, Sarah Lippek, the victim wants a restorative process rather than a punitive one. Restorative justice is a theory that emphasizes repairing the harm caused or revealed by criminal behavior. In action, it often involves face-to-face meetings between the victim, the offender, and members of the community. Rittereiser verified that bringing a firearm on campus is a violation of the SCC, which is a part of the Washington Administrative Code (WAC). But bringing a firearm onto the UW campus, or any Washington public colleges and universities, doesn’t result in criminal punishment, but administrative. Only the Revised Code of Washington makes bringing a firearm onto school property a crime, for strictly K-12 schools. That means the CSSC office has to create its own investigation. The details of this cannot be shared due to the Family Education Rights and Privacy Act. Arkans himself wasn’t quite familiar with the sanctions of bringing a firearm to campus, let alone shooting someone with a firearm. It just so happens that all of the sanctions listed for the SCC can be imposed for any violation. In other words, there is no protocol or rule that states a specific sanction must be given for a specific violation of the SCC. Sanctions include disciplinary reprimand; restitution for damage, loss of property, or injury to persons; disciplinary probation that serves as a warning, in which a second violation would result in expulsion; loss of any privileges; suspension; dismissal [expulsion]. None of the sanctions have a specified length of time or designated protocol for certain cases. Meanwhile, Arkans isn’t sure how familiar UW students, like the suspect, are with the SCC. Lippek, the victim’s lawyer, has been doing some of her own work and relayed that she felt the police didn’t follow protocol in terms of preserving the crime scene or collecting evidence. Lippek also felt the police hadn’t followed-up with witnesses or people who sent in videos. In addition, Seattle Police Department officers on bikes were present at the protest. As it stands, the department is in the middle of rolling out body cameras. Rittereiser said that where the scene occurred, there was no way to jump in and preserve it as there were hundreds of people. When it comes to witnesses: UWPD has taken statements and have responded to a handful of people who sent in videos, but not all of them. “If we haven’t, it’s because we’re prioritizing who we talk to,” Rittereiser explained. The prioritization of response is based on the quality and angle of the video in relation to the shooting incident. The Emerald asked for the number of witnesses that have currently been gathered by UWPD and SPD for the investigation but was not given that information within the timeframe asked. Rittereiser wasn’t aware of there being any body cameras on police at Red Square. SPD Public Informations Officer Patrick Michaud said it isn’t a requirement yet for the department’s bike police to wear body cameras, but are outfitting officers as the cameras are received. If there were any cameras worn, however, they aren’t turned on until an officer sees a criminal act. He also clarified that when a body camera is turned on, it runs until the end of the call. So in the case of the UW shooting, an officer would’ve only turned on a body camera if they remembered to while they were transporting the victim from where he was shot (on Red Square) to where the medical vans were (behind Kane Hall). The policies for body cameras are tacked onto the policies for dashboard cameras, located on police cars. In addition, UWPD announced yesterday that search warrants created for the investigation are now sealed by the court and therefore inaccessible. The blog post states the warrants identified and preserved evidence pertaining to the case. Thank you for your vigilance in reporting this story. Normally, (if that word is still permissible) “Conservative shoots Skinhead anarchist!” would have the cache of “Man bites dog!” but there is something very peculiar going on here that the UW and Big Media (BM) do not want the public to know about. Starting with the SPD releasing the shooter within hours(?) of his surrender, to the shootee not wanting to press charges; well, to paraphrase the bard, something has gone off in Denmark. To see what stinketh on the anarchist version of Red Square, go to Youtube to see for yourself at “Shooting at UW Seattle during Milo Y. protest.” This was a University and police condoned riot, in which it appears a law abiding, minding his own business citizen (if this word is permissible) in a MAGA hat, being assaulted by the shootee, set upon and assaulted by a half dozen rioters and after failing to escape, defending himself with justifiable deadly force. It is fortunate that the aggressor survived to begin examining the wisdom of violently attacking the victim and his civil rights in a concealed carry state. His fellow travelers in this American version of the SA (anarchist rioters can GooGoo this) should also engage in some sober (if that is even possible) reflection. Congratulations to Ms. Hamlin on having what appears to be, due to the BM blackout, a near exclusive on this important story and for scrupulously maintaining objectivity. Shame (not possible) on the Seattle Times for exposing the victim to harm by leaving a internet trail on his identity.